Great News for Audi Car Lovers in the UAE! Audi’s highly awaited A8 will be out in the market in 2018 and what a spectacular car it’s going to be! 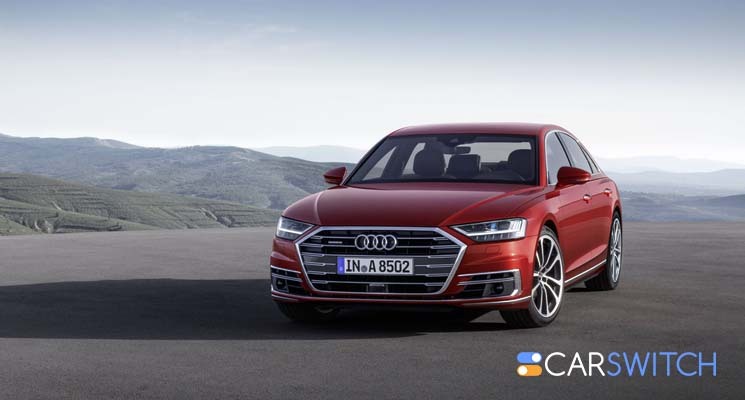 If you are into Audi cars, you will love their fourth-generation flagship sedan. It’s chock-full of cutting-edge technology some of which you might have never seen before. Intrigued? You haven’t seen anything yet. This one might inspire you to sell car in Dubai, and buy a used Audi instead, so be prepared. Autonomous Driving is Here The technology in A8 will be revolutionary and mind blowing, to say the least. 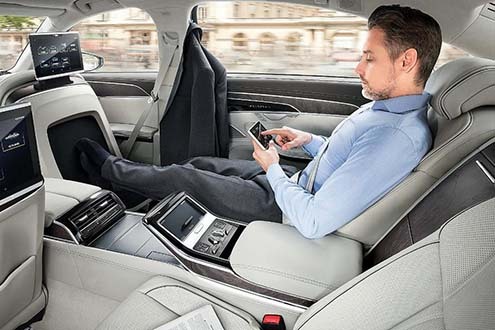 Its biggest appeal lies in the Level 3 autonomous capability, the first of its kind in a production car. Wondering what that means? Well, think of it as an autopilot/self-driving system. It’s called the Traffic Jam Pilot by Audi and it enables hands-off-the-wheel driving up to a speed of 60 km/h in highway traffic. A lidar, radar, and camera allow the car to manage that feat. Pretty cool, right? That’s not all, folks. The Audi A8 is sleeker and sportier than its predecessor. The rear roofline is coupe-like, making it more elegant. A spacious black-paneled cabin with state-of-the-art MMI infotainment system adds an element of luxury and the rear seat foot massage and mood lighting are a bonus. This flagship sedan by the German automaker will surely give competitors like Mercedes-Benz and BMW a run for their money. Power at Your Fingertips A8’s standard and long-wheelbase forms will be introduced in the market first, boasting a 3.0 liter V6 with 340 hp and a 4.0-liter twin-turbo, producing 460 hp, respectively. Later on, the flagship A8 L with a 6.0 liter, twin-turbocharged W12 engine rated at 585 hp will be introduced. The standard model is expected to start from Dh 380K while the A8 L will start from around Dh 400k. Better start putting aside some money soon then. And if you are looking to sell car in Dubai, UAE with the intention of upgrading, check out CarSwitch’s inventory of used cars for sale in Dubai. Good luck! The revival of the BMW 8 Series is no longer just a rumor, folks! The concept. Falconry enthusiasts in the UAE, we have some exciting news for you! The British luxury carmaker,. Mercedes has done it again! The brand is synonymous with luxury and performance so it was.